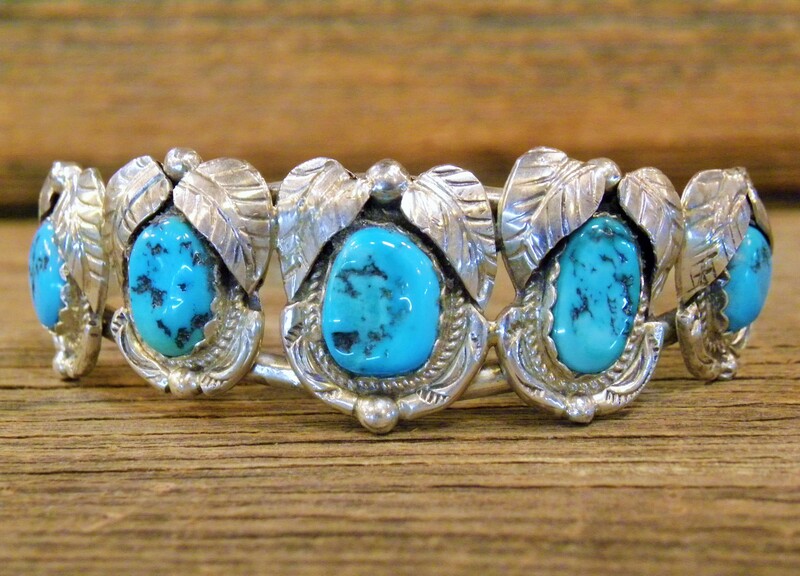 This bracelet is sterling silver Navajo handmade by Monroe and Lillie Ashley. It is set with 5 Sleeping Beauty Turquoise stones . Monroe and Lillie Ashley have been working for Old Presidio Traders for over 30 years.